Go on a puzzle adventure with Kiba & Kumba: join the two monkeys on their trip through the jungle, fight against their enemy Dr. Slipp van Ice and save the island! 40 beautiful jigsaw puzzle levels are waiting for you! Simply drag and drop the pieces on screen and finish the picture. Play in story mode or race against the clock and thwart the doctor's evil plans. Can you complete all levels? 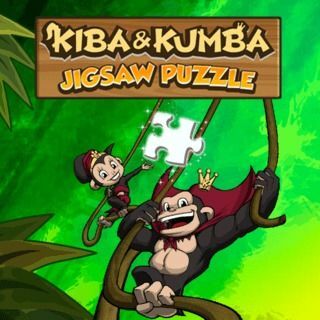 Kiba & Kumba Jigsaw Puzzle - Find Kiba & Kumba Jigsaw Puzzle in our vast HTML5 games catalogue. Only the best and newest HTML5 games for all audiences. Guaranteed success with Famobi.